The shape of the borough of Masterton changed over the years, as substantial areas of land were shuffled between county and borough. Lansdowne, now a considerable urban area, did not join the borough until 1921 being until then part of the Masterton County. It was originally intended that Lansdowne should be part of the settlement of Masterton but the sections did not sell well, and Mataikona settler John Valentine Smith bought them all. Smith, who was the second Member of Parliament for Wairarapa and also active in local politics in the early years of settlement, gave the name of ‘Lansdowne’ to his estate. The Masterton County Council applied official names to the then existing Lansdowne streets in a special meeting held on 30 July 1904. The meeting decided to name the streets in five different classes of names: “local residents, noted commanders, native trees, numbers and noted public entertainers”. The street which followed the edge of the high bank above the Waipoua River was originally called The Terrace but, following the death of Mayor Thomas Jordan in 1945, the area was renamed Jordan Terrace in his honour. Terrace End is a small street leading from Jordan Terrace to the bank. Rahiwi Place, at the end of Queen Alexander Street, was formed in 1967 as a subdivision, and named after the property, previously owned by the Jameson family. Joe Jameson also farmed Tuhitarata in the South Wairarapa. Pic: 'Rahiwi' homestead, the property of Joe Jameson. The Maunsell family has had a long association with Lansdowne and a number of members of the family have lived in the area. 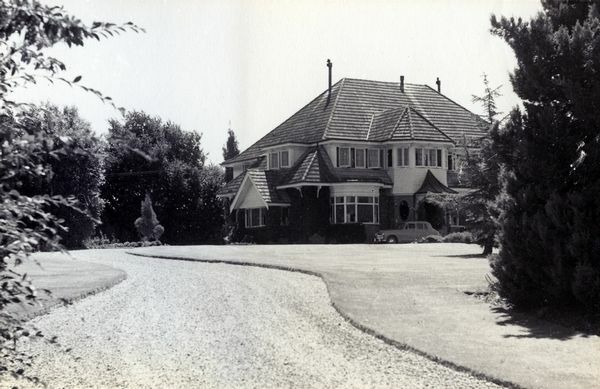 In 1990, when John Maunsell developed part of his Milford Farm into an exclusive subdivision at the northern end of Manuka Street, he proposed to name the new street after the old Maunsell home in Titoki Street, “Eridge”. When that proposal was declined he opted for Milford Downs, Milford being the name of the Maunsell family’s ancestral home in the Irish village of Rathkeale. Rathkeale College is on the site of another Maunsell property. 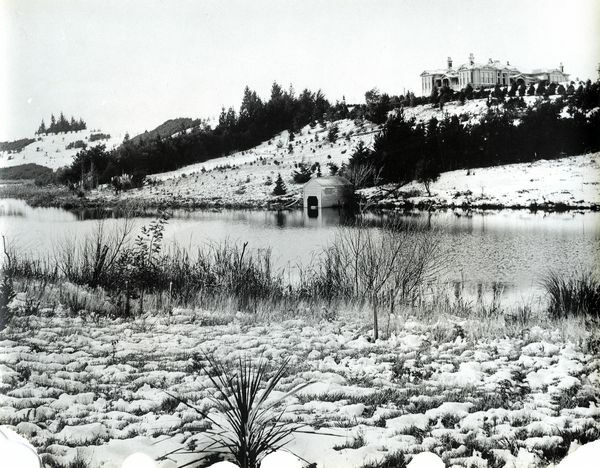 Pic: 'Eridge' homestead above the Lansdowne Lake. Miro Street is named after another of New Zealand's native coniferous plants. The miro, Prumnopitys taxifolia, is renowned for its hard timber and for the berries it bears in profusion. The ngaio, Myoporum laetum, is one of New Zealand’s most common coastal trees, with bright green foliage. Ngaio Place is named after the tree. The word ngaio is often used as a female given name, for example, Dame Ngaio Marsh. Pic: Miro berries provide an autumn feast for kereru. 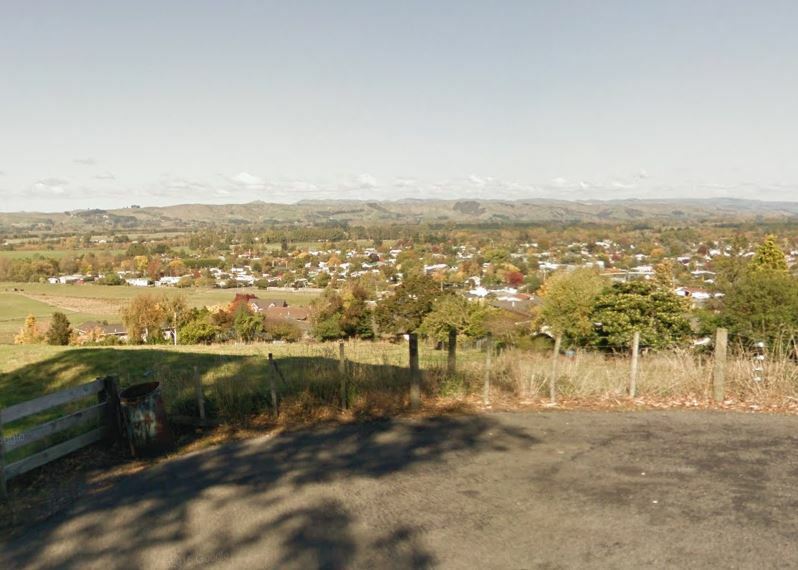 The road north from Masterton was called the Opaki Road, and the Masterton County Council decided that the streets leading off it were “to be called respectively, First, Second, Third, Fourth and Fifth Streets in the American manner." Although the name Lansdowne has both English and Irish connections it seems the house and farm were actually named after an Australian locality. John Valentine Smith married Mary Wild, the daughter of an Australian settler whose estate was south of Sydney, near Picton. The area around the estate is known as Lansdowne. 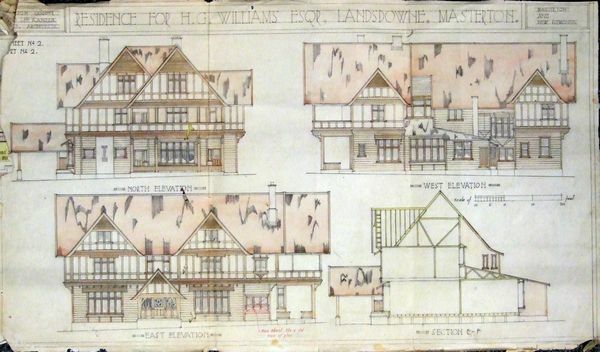 Smith’s original house stood on the site of the present ‘Lansdowne House,’ which replaced it in the 1930s. Lansdowne Crescent is named after the house. The first Masterton Hospital was situated on the banks of the Opaki Stream in Te Ore Ore Road, set well off the road and opposite its current position. The road to the west of the hospital was named Totara Street. The street running between Second and Third streets was named Rimu Street and the street running between Third Street and the proposed Fourth Street was called Matai Street. Totara, rimu and matai are all New Zealand native members of the podocarp group of conifers, and at one time were all important timber trees. As their availability has diminished their use as timber has been reduced. 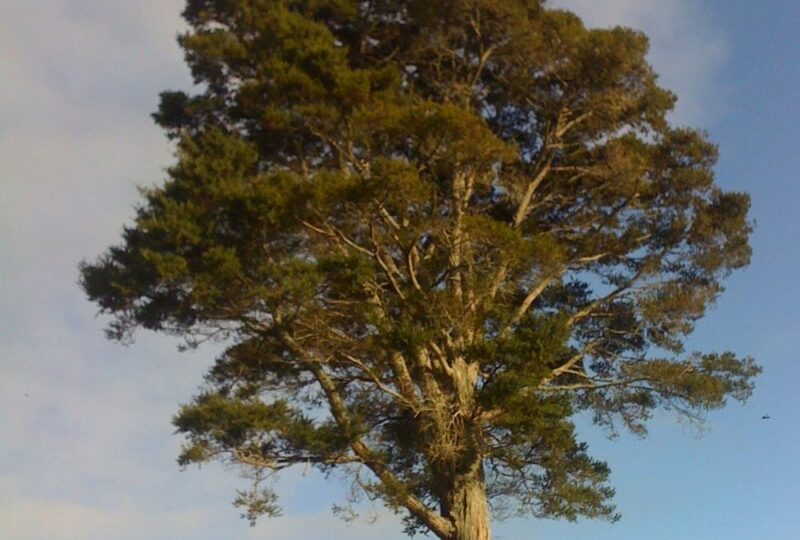 Pic: A feature of the rural landscape, a totara tree on a ridge line. The streets leading up Ouwaka, Lansdowne Hill, were named in the early 20th century. The road described as leading from Lansdowne homestead to Mr Maunsell’s house (Eridge) was named Titoki Street while the road to the golf course was called Manuka Street. The titoki, sometimes called the New Zealand ash, was a valuable tree to Maori who obtained oil from the copious black seeds the tree produces. The oil was used to ornament the hair. The manuka is a widespread shrub that assumes different forms depending on where it is growing. It grows as a tree in sheltered conditions and as a dwarf shrub in more open, windy sites. It was said to have been common on Lansdowne at the time of pakeha settlement. 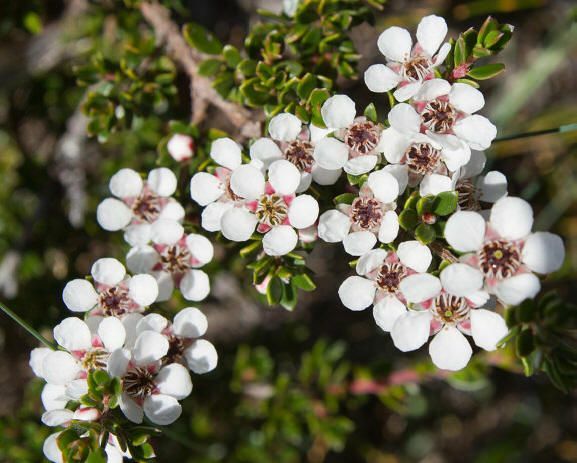 Pic: Once despised as a pest plant, but now prized for its valuable honey, the ubiquitous manuka. Over the years, as different streets in the Lansdowne area have been constructed, tree names have been applied to them, although sometimes this has been a contentious issue. When a section on Titoki Street was subdivided in 1976 the developers proposed to call the new street Barton Place, after the man who built the house on the site, E.F. Barton. The house was called ‘Wai Iti’ (small water) because it looked out over the dam that Williams and Beetham built between Lansdowne Hill and Opaki Road. The Borough Council agreed to the street being called Barton Place at first, but later changed its mind and asked that either Maire or Kauri Grove be used. Kauri Grove was chosen, a decision perhaps influenced by the kauri tree that Mrs Barton had planted some years before. 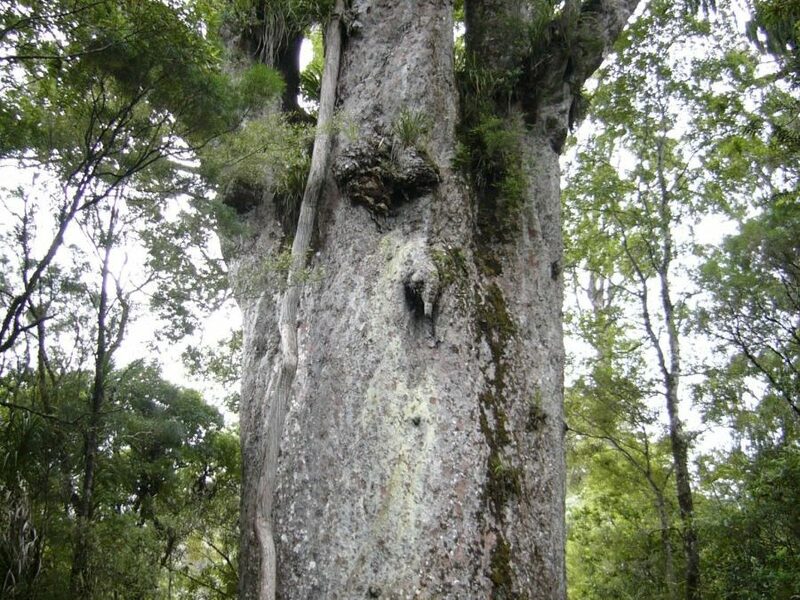 Pic: New Zealand's most famous kauri, Tane Mahuta. The theme of streets named after trees continued in 1957 when Hinau Place and Kowhai Place were named in the Walker subdivision. These are both small trees, the kowhai being well-known for its yellow flowers in spring, and the hinau for the copious white flowers it carries, and for the bread sometimes made from its berries. Interestingly, the principle of naming after trees was not followed for the street which both Hinau and Kowhai Places run off. Keir Crescent is named after ex Mayor, A.J. Keir. 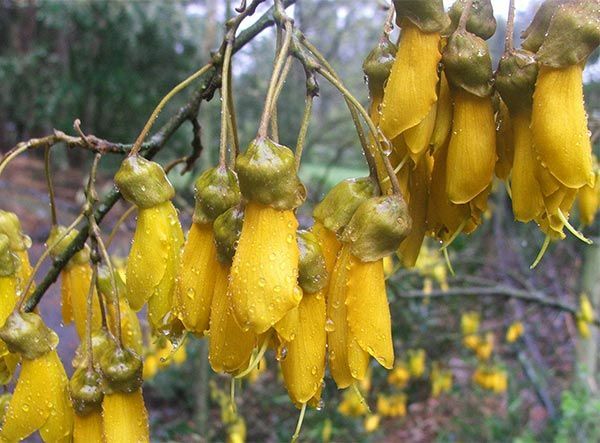 Pic: New Zealand's floral emblem, the golden kowhai flower. Many subdivisions in the Lansdowne area have been named on a native tree theme. Konini Street is named after the berry of the kotukutuku, Fuchsia excorticata, the New Zealand tree fuchsia. The berry can be used to make a jam, and is a favourite food of various native birds. Matipo Street is named after the shrub Myrsine australis, which has yellowish green foliage and an attractive orange cast to its new stems. The popular garden shrub Pittosporum tenuifolium is sometimes called a matipo, although the Maori name for this shrub is kohuhu. 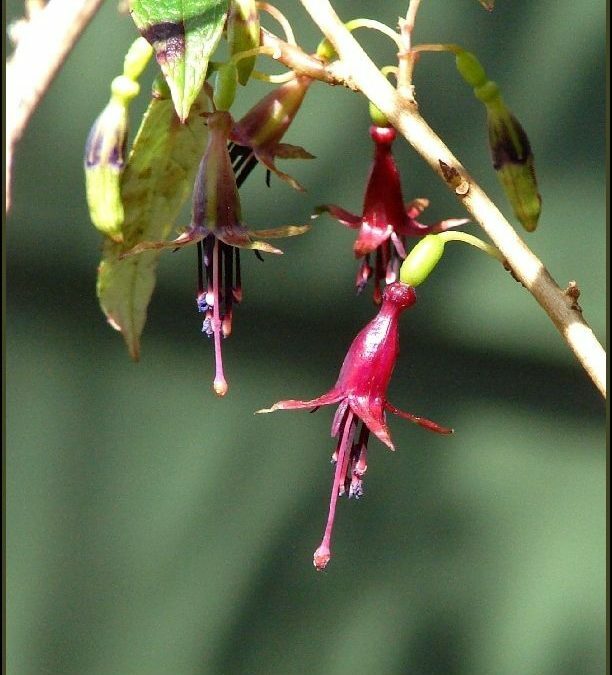 Pic: Our native fuchsia is the kotukutuku - the flower is called konini. There was some discussion in 1993 about the naming of the old stock route from Gordon Street up to the end of Manuka Street as Nikau Heights. Some members of the Masterton District Council thought that Selina Sutherland, driving force behind the establishment of Masterton Hospital in 1879, should be commemorated. 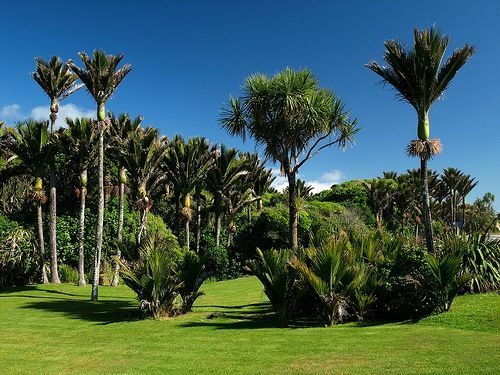 Local residents were in favour of naming the road after the native palm, Rhopalostylis sapida, the world’s southern-most palm tree, and the road was named Nikau Heights. Pic: The world's most southerly palm, the nikau. It is arguable that the northern rata Metrosideros robusta is New Zealand’s most colourful tree. When the flowers appear at Christmas this near relative of the pohutukawa gives a spectacular display. 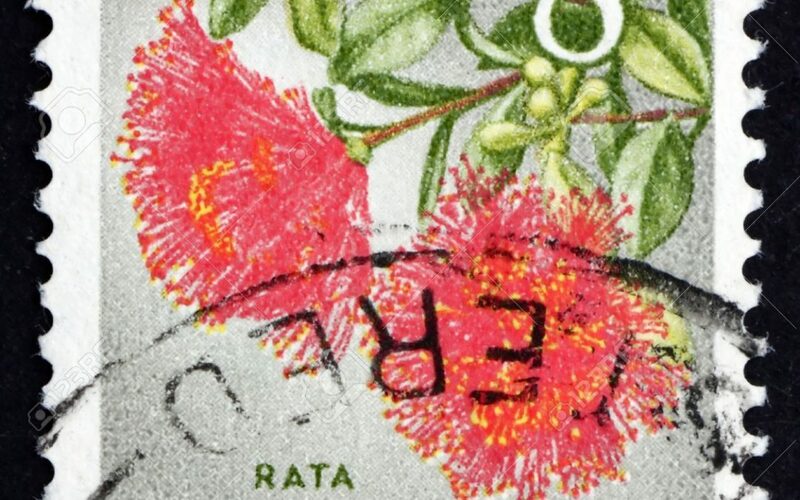 Rata Place was named after it. 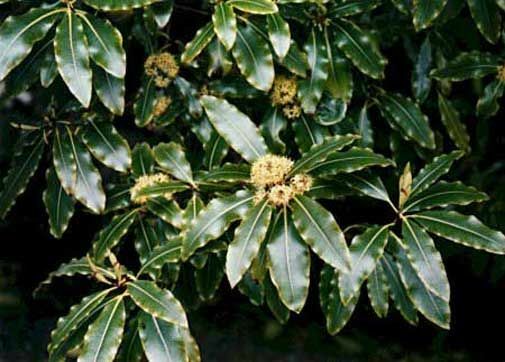 The wood of one of New Zealand’s most statuesque trees, the rewarewa, Knightia excelsa has marvellous patterns, and has led to it being called the New Zealand honeysuckle. The rewarewa is a common tree in Wairarapa, and Rewa Place was named after it. In autumn the New Zealand forest floor is sometimes covered with purple berries, about the size of small plums. These are the fruit of the tawa, Beilschmiedia tawa, an attractive tree with useful timber. The Maori used to extract oil from the kernel contained in the seed. 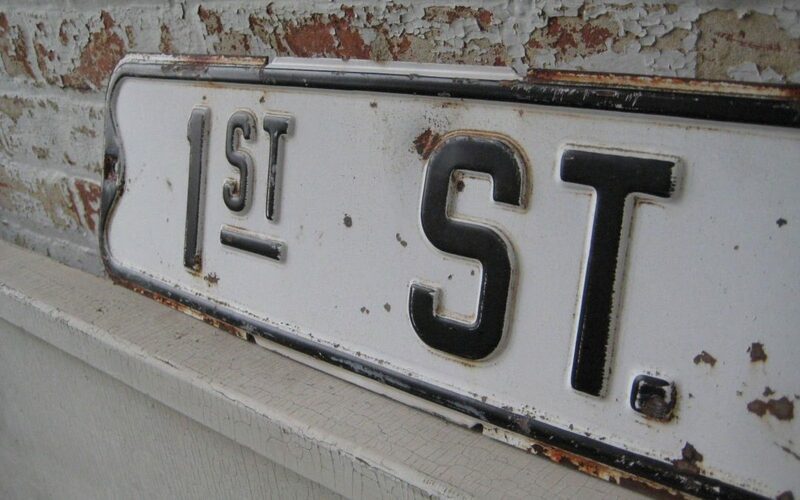 Tawa Street, which was originally going to be called Kanuka Street, is named after the tree. Pic: In early summer the forest comes alive with rata blossom. 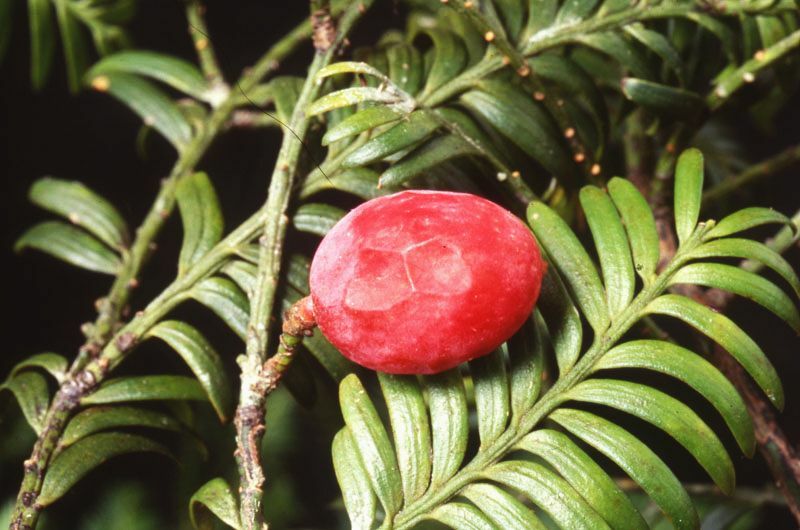 A recent subdivision of the old Totara Drive School site, a circular road entered from Rimu Street, has been named after the tree known to pakeha New Zealanders as the lemonwood, Pittosporum eugenioides, but known to Maori as tarata. A quick growing tree with attractive yellow flowers in the spring, the leaves have a slight lemon scent when crushed. High on the top of the golf links hill a new street has been formed at the end of Manuka Street, and named after the estate the land was subdivided from. ‘Ardsley’ was the home of Charles Beetham, one of the Beetham brothers who established Brancepeth Station, and named after a village in Yorkshire with Beetham family connections. 'Ardsley' farm later became famous as the thoroughbred stud of Jim Wallace. Opaki Meadows Drive is a small private roadway leads off SH2 into a small subdivision on the banks of the Opaki Stream, overlooking the recreation trail that leads from Fourth Street up into Milford Downs. Pic: The tarata, or lemonwood , has attractive cream flowers. Lett Street is one of Lansdowne’s older streets, having been constructed in the early years of the 20th century. The Lett brothers who were well known as builders and contractors in Lansdowne and Masterton, developed the street, reputedly building most of its houses. In 1949 Churchill Avenue was built to connect Lett Street to Te Ore Ore Road. Boltons Road, heading right from Manuka Street was named for the farmer/builder/race horse owner Jimmy Bolton, who bought much of the land on the south side of the street and built a large house. The Masterton Golf Club occupies the north side of the street, while the end of the road is a favourite viewing spot, looking out over Lansdowne and the hills to the east. Pic: Boltons Road looks out over Lansdowne. Cooper Street was formed in 1920, and named after the developer, Alexander Cooper, a Masterton stock agent and auctioneer. When the Cooper Street extension was added in the late 1960s it was at first intended to call the new street Kauri Place, but the name was dropped and the extension retained Cooper’s name. 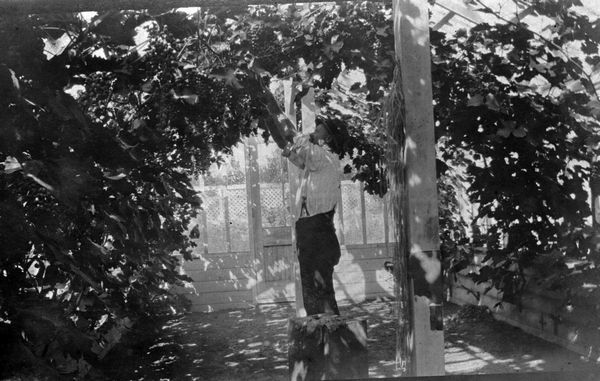 Pic: AJ Cooper picking grapes from his Lansdowne glasshouse.